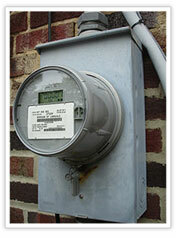 At this point almost every home in Ontario has a smart meter that records how much electricity you use each hour. Smart meter electricity pricing has started in the Greater Toronto Area and is expanding to include all of Ontario. Soon, if not already, you will be billed 18 cents / kilowatt-hour ("kWh") for on-peak power, 13.2 cents / kWh for mid-peak power and 8.7 cents / kWh for off-peak power (see How Does Smart Meter Electricity Billing Work). Sure, you could sign a five year fixed rate contract with an electricity retailer for as low as 6.99 cents / kWh (see Compare Fixed Hydro Rates), however, by following some simple energy saving tips and taking advantage of your smart meter you can reduce your electricity bill and save money (see Saving Money With Your Smart Meter). We hope this website answers your questions about smart meters and starts you down the road to smart meter savings! RPP rates listed on this site are for the period from Nov 1, 2016 to Apr 30, 2017.